Castiel - Abandon All Hope 5X10. . Wallpaper and background images in the Castiel club tagged: supernatural castiel season 5 abandon all hope episode 10 spoilers. 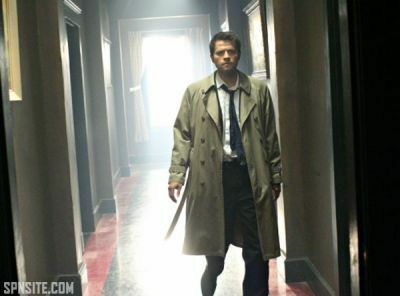 This Castiel photo might contain कपड़ा, बाहरी परिधान, जांघिया, बाहरी वस्त्र, overgarment, बरसाती, ट्रेंच कोट, अच्छी तरह से तैयार व्यक्ति, सूट, पैंट सूट, pantsuit, पैंट्सट, and अच्छी तरह से कपड़े पहने व्यक्ति.